I love spring. I think it's everyone's favorite time of year, don't you? My very favorite part of spring is wildflowers. I love this time of year in North Carolina! There are flowers popping up all over the place. My favorite book for identifying wildflower is the National Audubon Society Field Guide to Wildflowers, Eastern Region. They also make one for the Western Region. The nice thing about these books is they're organized by color and shape, so you can look up things like "yellow daisy and dandelion-like" flowers. These books are by no means definitive, but they're the easiest to use for me. I just got Newcomb's Wildflower Guide, which is supposed to be pretty cool, but I haven't quite figured it out yet. It's for a fairly specific region of the U.S, basically north Georgia up through New England, but it is supposed to be a better way of identifying wildflowers. 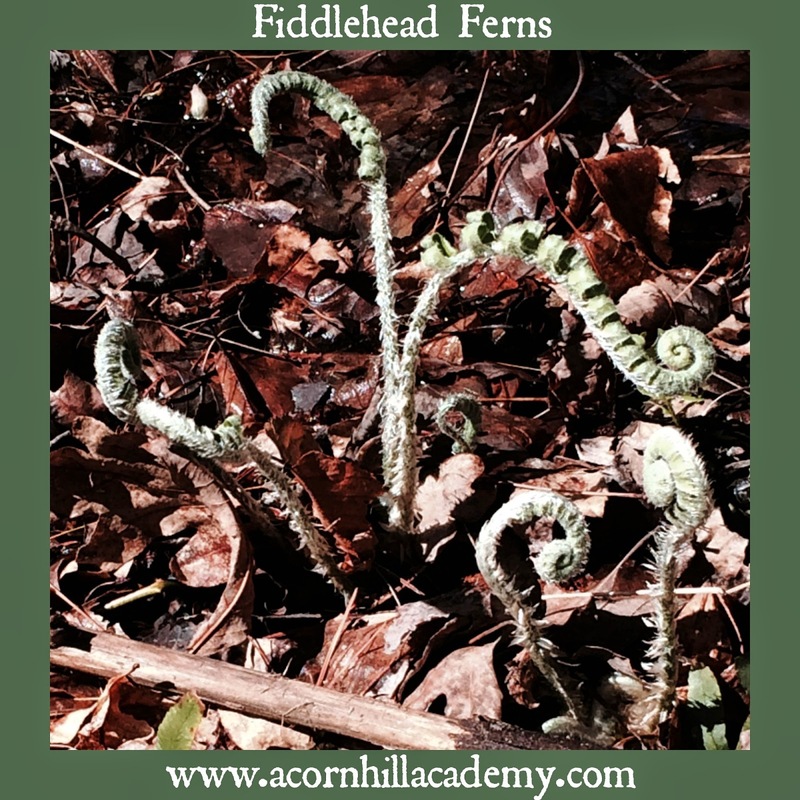 Some local friends have started a nature club, and our first subject is wildflowers. We were able to attend for the first time last week. We met them at South Mountain State Park, and looked along the walking trail to see what we could find. Take a look! 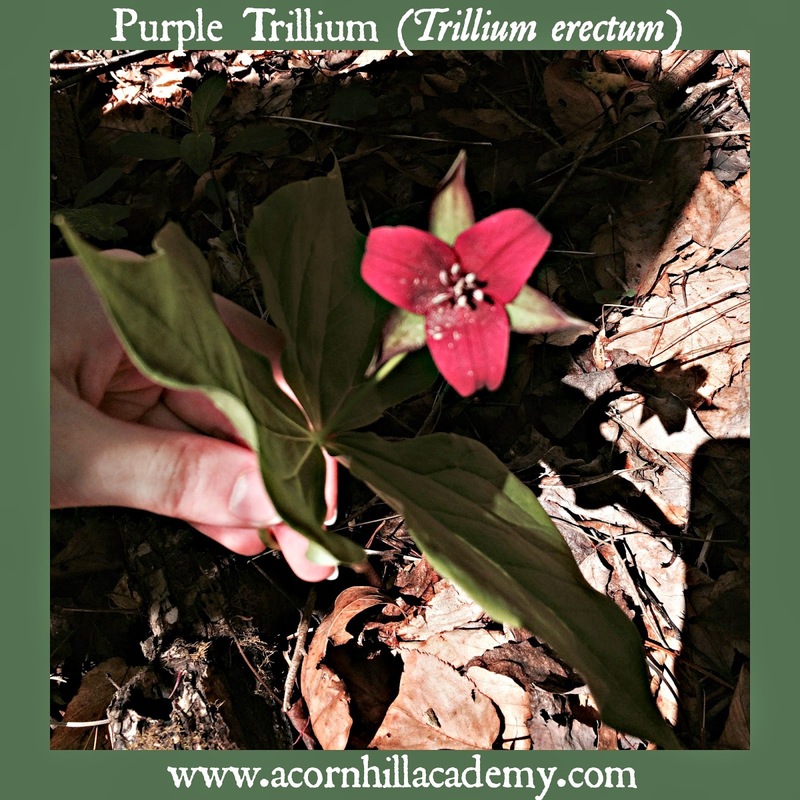 When I looked up the trillium in my wildflower guide, I learned that it is also called "Stinking Benjamin." Apparently, the flowers smell like carrion, which attract carrion-feeding flies for pollination. I'm glad I didn't get close enough to the flower to try to smell it. When we saw this flower, we had a hard time figuring out what it was. I kept thinking, "Wow, that looks like chickweed, but the flowers are so big!" 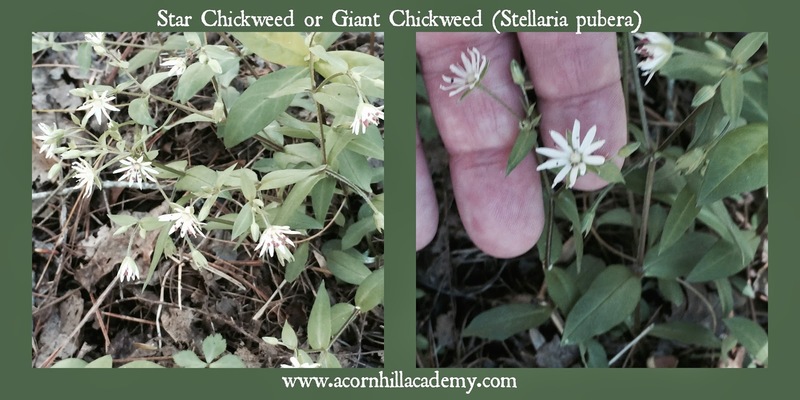 Come to find out, it's GIANT chickweed! It's also called star chickweed. I know not everyone loves having chickweed around, but I think it's pretty. 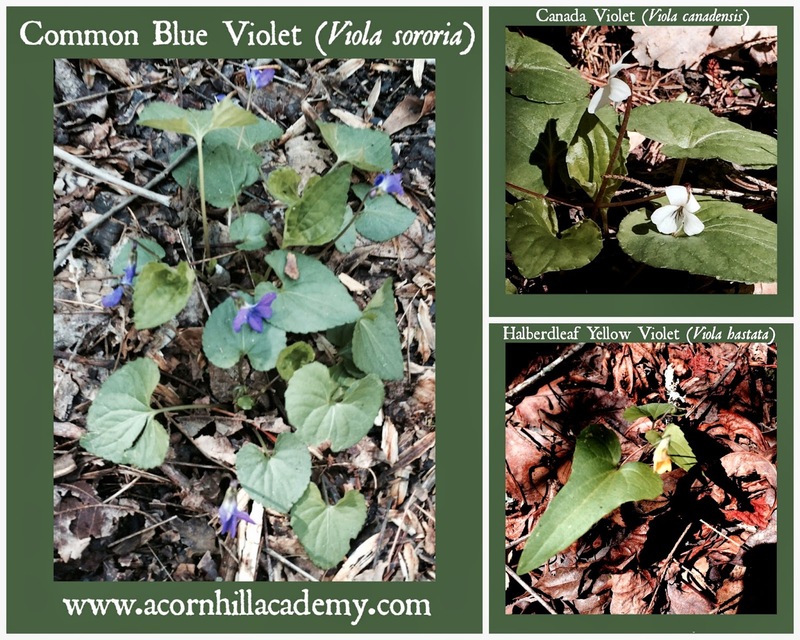 We also saw three kinds of violets! I love violets. They remind me of my grandmothers. They grew everywhere in Michigan. Here, they grow wild, and pop up all over the place. We find them in our yard, volunteering their beauty. I had never seen a yellow violet before, I don't think, and I am not sure I'd seen a Canada violet, either. 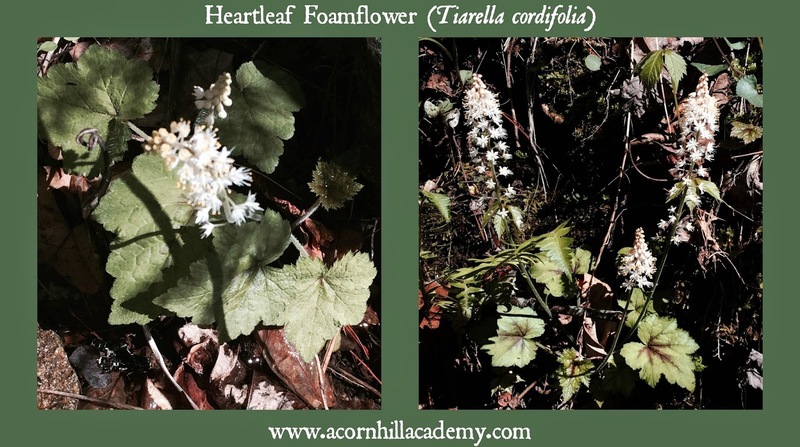 The last thing we were able to identify was foamflower. They're so pretty. 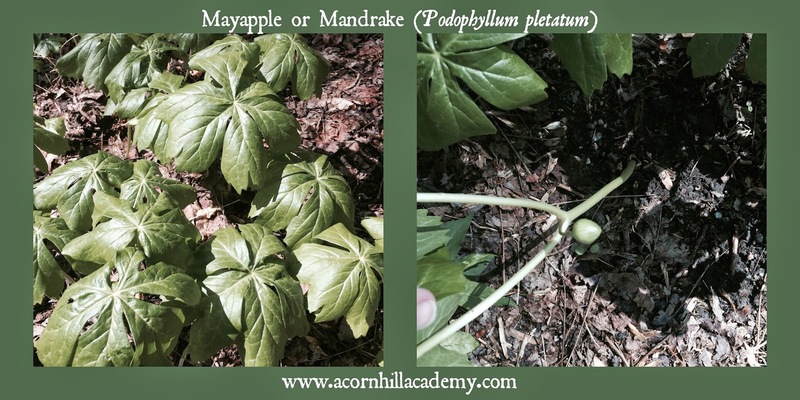 I used to have some in my flowerbeds when we lived in Apex, but I'm sure they were a hybrid variety. It was such a lovely surprise to find them growing in the wild. We were hoping to be able to spend some time dry-brush painting in our nature journals, but it was chilly and windy, so we decided to do that next time. 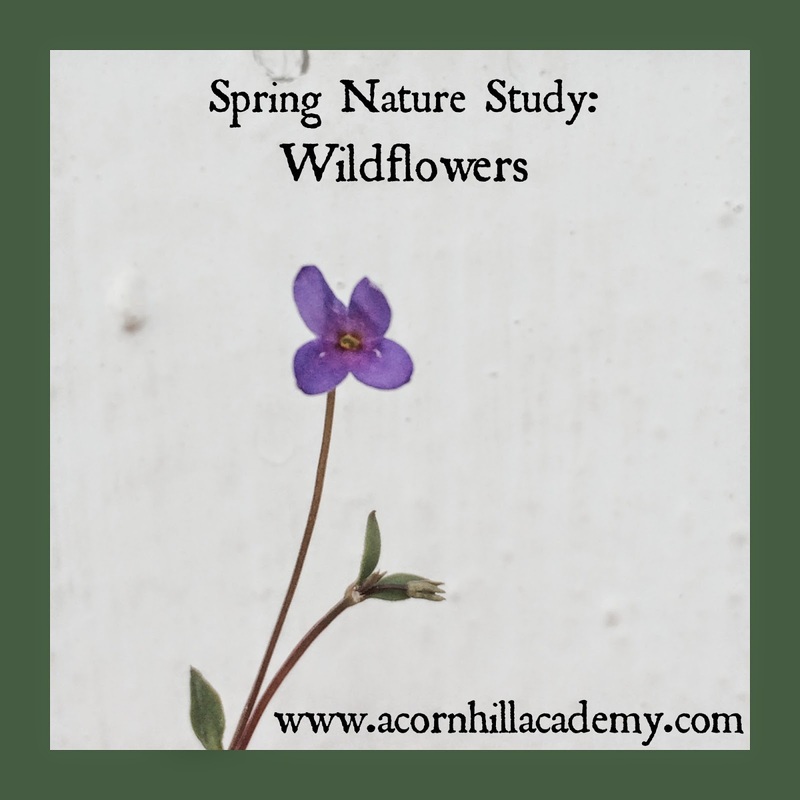 My friend Jenn over at Simblissity has created some lovely nature journal pages for you, if you'd like to print them off and get started on your very own study of the spring wildflowers in your area. I'd love to know what you find. What is your favorite? Be sure to check out the Spring Studies Crew Carnival and see what other folks are doing!